I am a university professor teaching literature and love of mankind to students. I strongly believe that literature can unite all mankind. Roohollah Roozbeh and Shahwar Kibria are now peers. Roohollah Roozbeh and Maryam Moghimi are now peers. Roohollah Roozbeh and Majed Aladaylah are now peers. 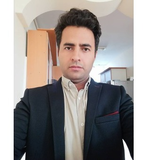 Roohollah Roozbeh updated their profile information. Roohollah Roozbeh and Shekofeh Rabiee are now peers. Roohollah Roozbeh and Abdullah Dagamseh are now peers. Roohollah Roozbeh and Sidney Greenblatt are now peers.